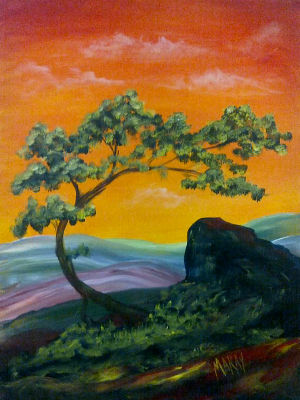 I Paint Today offers a variety of art classes and painting experiences for the whole family. Whether your interest is in a single social painting experience or a more in depth study of painting in one of our various art classes, we offer it here at I Paint Today. 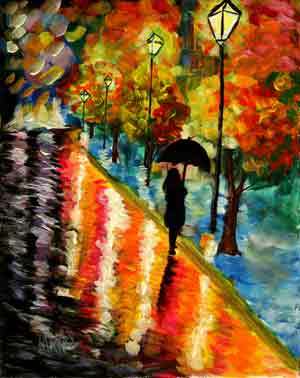 Our Ongoing Painting Art Classes and Private Lessons are designed for teens, adults and kids. These art classes are for the more serious artist. We focus here on more Fine Art techniques. 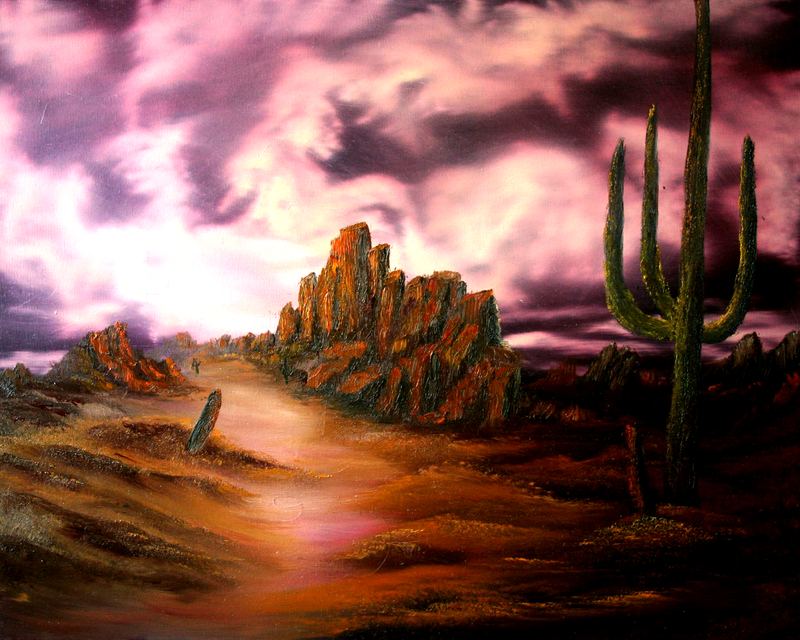 However, even if you’ve never painted before, you will begin learning to create more professional looking paintings. 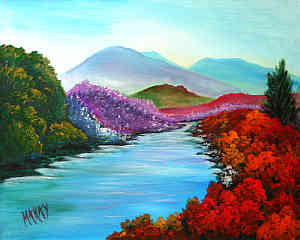 For teens and adults we offer Acrylic Painting Art Classes and Fine Art Oil Painting Classes. For kids we offer our “Cookies and Paint” Acrylic Art Classes. 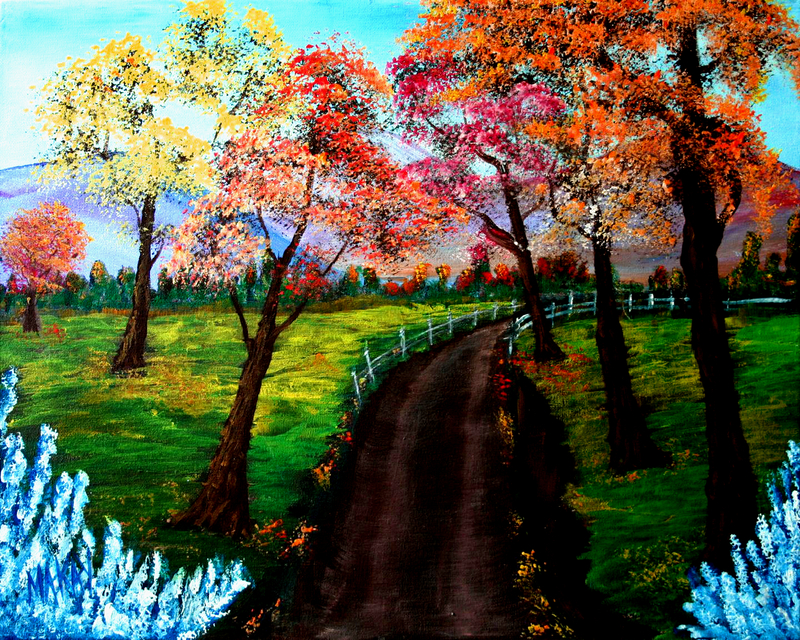 Ongoing Painting Classes are designed so that you will learn at your own pace. This is a great way to advance from month to month. 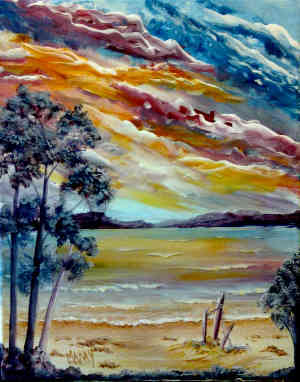 Throughout these Art Classes you will find much more detailed instruction on painting techniques, painting theory and some Fine Art History. Each class is held for 2 hours on the same day each week for at least 4 weeks. One of those hours is new instruction. The other hour is a supervised painting practice lab. These practice labs allow time for you to receive private instruction. Teen and Adult Art Classes are limited to only 4 students in order to give quality time to each. These art classes start at age 14. Kids classes are limited to 8 children between the ages of 5 and 13 years old. When we have more than 4 to 5 children, we add another instructor and split the group into two keeping the ages close to each other. This way we are still a maximum of 4 painters to 1 instructor. Another added benefit for these classes is our FREE Independent Painting Practice Labs. You will also have an opportunity to come back to the center to work independently during other times we are open for art classes. You will be responsible to set up and clean up your station, but, you will also be able to use all our materials and make yourself at home. When you come to class, you can sign up for an available slot. Prices include the 2 hour art classes, all the supplies necessary for classroom work and the FREE independent painting practice labs. There are also discounts for registering for 4 art classes at a time. However, individual class pricing is available. Check the I Paint Today Calendar for information on when the next set of Ongoing Art Classes are available. You may register any time for these classes. I Paint Today offers single class workshops for teen and adult artists that are interested in learning unique techniques for painting with acrylics while still having a Special Event Paint Party atmosphere. These workshops are generally 3 hours in length and include food, beverage and our own DJ Mike with a light show. The instruction in these workshops are also a bit more detailed for the intrigued artist. 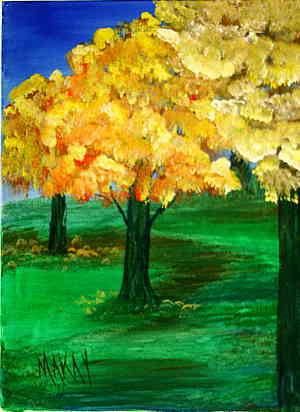 Topics for these workshops include: Learning to Paint Distance and Perspective, A study on Painting Trees, How to Paint with a Palette Knife and Various Ways of Using Specific Brushes and Unique Items for creating texture. Visit the I Paint Today Calendar to find a Special Event Workshop. Every class is a painting party with music, laughter and fun for all. Our family friendly Paint and Party Classes are open to students’ teens and adults. Come once, you’ll be hooked! You will be amazed! It will be easy to create a work of art on canvas you’ll be proud to put on your wall. 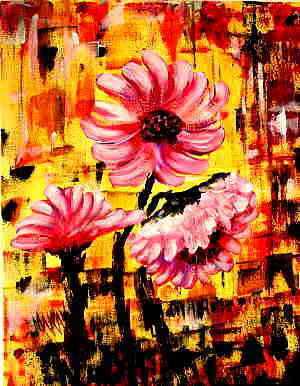 You will yearn to learn how the canvas paintings are ranked by the Maxie Makay Method so you can maximize your experience by learning specialty painting techniques and tricks of the trade. But, we’ll keep it our little secret. Remember now, all art classes, regardless of stage, are beginner friendly so try them all! Take them in a progression or mix them up. Class length is about 2 hours for canvas paint and party time. However, these times are approximate. We don’t tend to watch the clock so feel free to take more time if you need it. Please arrive a few minutes prior to start time to set up and get the artist in you flowing! I Paint Today offers variety of fun Paint and Craft Classes for both adults and kids ages 2 through adults. Instructors will be walking around to help you. kids can even do Glass Painting as we have many styles of glass. Not all of our glass is for wine. 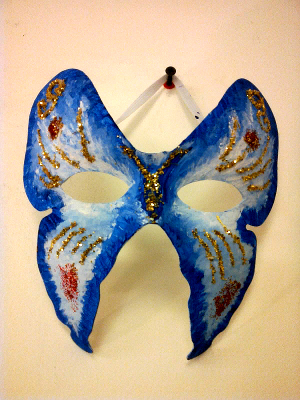 However, along with glass we offer, ceramic figures, wood, paper, masks and many other fun craft projects for everyone! 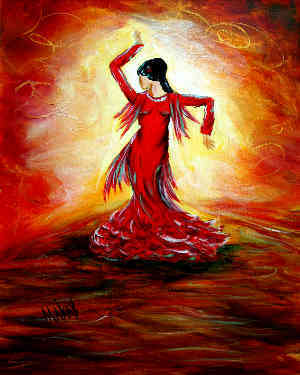 So, come join the fun, jive to the music as our artist instructors help you get creative. Do you have your own materials and a fun project to do and want to work independently with your friends and family? Please feel free to come to our Open Studio time for FREE! You are welcome to walk in with your own project in hand and socialize in our relaxed and fun filled atmosphere. If you need an art and craft project, you can also come at this time and find yourself something special to do. We will have plenty of materials you can purchase for a reasonable fee. You can probably put a arts and craft project together for $3 to $10. Sometimes our adult painting classes tend to be a little more mature. If we are in a restaurant that serves alcoholic beverages the class is limited to students aged 21 and older. 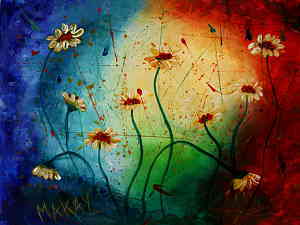 These classes allow our students to relax, have fun, socialize, paint, and party just a bit heartier. Although classes are open for all skill levels, the paintings are ranked by the Maxie Makay Method for students who want to maximize their experience and learn specialty painting techniques and color mixing, a fancy way of saying “Oh boy, I get to play with paint and have myself a blast! Paint brush in one hand and a drink in the other! !” Actually, these classes are very beginner friendly so don’t be afraid to try. I promise you can do it! Class length is about 2 hours of fun, music, and laughter. However, these times are approximate. We don’t tend to watch the clock so feel free to take more time if you need it. Register for a class today and please arrive 5-10 minutes prior to start time. Introductory courses covering basic painting techniques with an emphasis on contemporary applications of the oil paint medium and solvents. 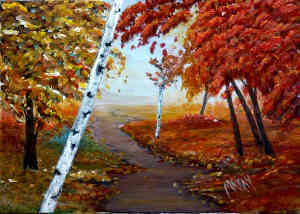 The objective of this course is to provide students with the skills necessary to create paintings by using knowledge of pictorial composition and knowledge of materials, tools and techniques used in this style of oil painting. 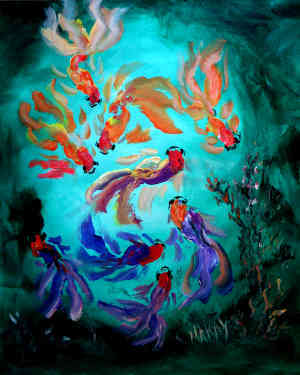 Courses are 4 weeks long and cover the basics through an engaging introduction to oil painting. Topics include the use of composition, the proper use of a color palette, texture, form and value through landscape painting as well as understanding various paint brushes, their uses and proper care. By the end of the course, students will have a basic understanding of these concepts and some of the basic tools used to accomplish their painting goals. An introductory art course covering basic painting techniques with an emphasis on contemporary applications of the acrylic paint medium. 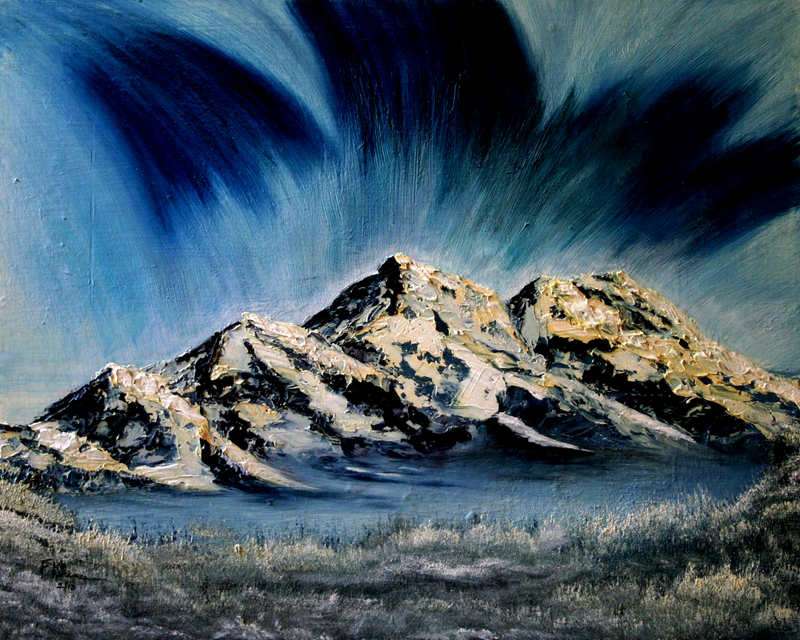 The objective of this course is to provide adult art students with the skills necessary to create original paintings by using knowledge of pictorial composition and knowledge of materials, tools and techniques used in acrylic painting. The 4 class course provides the basics through an engaging introduction to acrylic painting. Topics include the use of composition, the color palette, texture, form and value through landscape painting as well as understanding various paint brushes, their uses and proper care. By the end of the course, students will have a basic understanding of these concepts and some of the basic tools used to accomplish their painting goals. 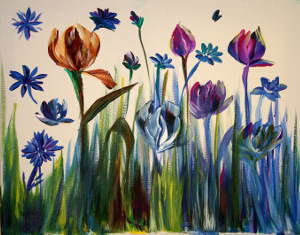 These Friday classes provide the basics through an engaging introduction to acrylic painting. Topics include the use of composition, a landscape color palette, texture, form and value through landscape painting as well as understanding various paint brushes, their uses and proper care. By the end of the course, students will have a basic understanding of these concepts and some of the basic tools used to accomplish their painting goals. Two age groups are offered simultaneously. We offer a class for kids ages 5-8 and we offer a class for kids ages 9-13.